I would recommend that you actually read the “Spirulina” article on Wikipedia that you linked to. Being a vegan, I know how important B12 is to good health and vitality – it supports the function of red blood cells. As an example, without it, serious fatigue can occur. 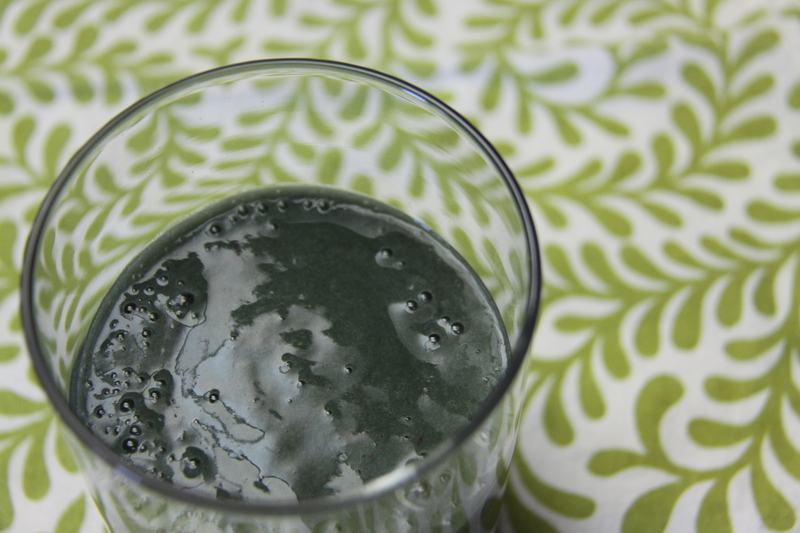 Just want your readers to know that they can not count on spirulina as a source of B12. Your claim that it is high in B12 is misleading. This is a very good point Mel and I appreciate very much that you took time to point it out. Some studies claim that spirulina is a very good source of B12, some studies do not suggest the same. Spirulina is a very good source of protein too. Do you use nutritional yeast for your B12? It’s not a ‘raw’ product, but a lot of raw vegans use it. We use it too. Chlorella is also another sea vegetable that supposedly has high amounts of B12. According to Dr. Vivian V. Vetrano, “B12 coenzymes are found in nuts and seeds, as well as in many common greens, fruits and many vegetables.” According to Dr. Rick Dina, dulse supposedly contains human active B12, miso and Vitamineral Green. No problem, I appreciate your reply. At first I got all excited when I saw that this was a B12 source, as they’re hard to come by. I do use nutritional yeast now as well, recently a friend recommended that. I’ll have to check on the Chlorella as well. Certainly all of these wonderful ingredients have great health benefits, so I am always excited to try something new. Thanks for the suggestion! As a side note, I have enjoyed what I have read on your blog so far. Loving the fresh new ideas, and the health+convenience factor. Keep up the good work. Thank you Mel. I really appreciate the interaction and please do let me know if you are interested in something I could write about. Oh yeah! Glad K likes it!!! 😉 The little ones in my life finish their servings up too! How much does this make? Can you make an approximation of the serving size as I would just be making this for myself? Hi Kyla, I’ve been out for a while. This is good for 4 people, around 3/4 – 1 cup servings. It also keeps for 3 days… so you can make it and drink some and keep some for another time.